Change things up with these side-trips from Byron Bay: Tropical Fruit World (in Duranbah), Tweed Regional Gallery & Margaret Olley Art Centre (in Murwillumbah) and Watersports Guru (in Kingscliff). On the 7th (Tue), give your taste buds a day to remember with a local gastronomic tour. And it doesn't end there: tour the pleasant surroundings at Cape Byron Walking Track, relax and rejuvenate at some of the best spas, find your balance on the water with some of the best stand-up paddleboarding in the area, and let the kids burn off some steam at Crystal Castle & Shambhala Gardens. For reviews, where to stay, photos, and tourist information, go to the Byron Bay trip itinerary planner. 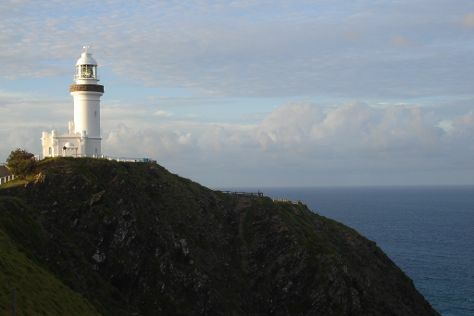 In April, daytime highs in Byron Bay are 30°C, while nighttime lows are 16°C. Finish up your sightseeing early on the 7th (Tue) so you can travel back home.